Tell us a bit about your background in jewelry design. I have wanted to be a jeweler for my entire life; since I was about 4 specifically. I never really wanted to do anything else or experiment with anything career-wise. My dad’s a jeweler and he would take me to his shop, give me little jobs to do when I was a kid. I’ve loved it ever since then. I left school at age sixteen to immediately start training with another jeweler. 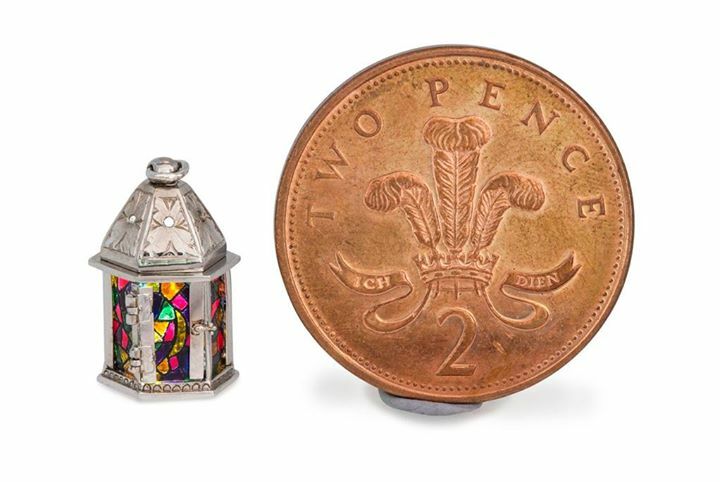 After a few years, I left that jeweler, and would frequent my dad’s shop to create tiny models for fun. Eventually, I became qualified to work alongside my father, and I can officially say I’ve been a jeweler for twelve years now. I have always loved art and all of the different mediums there are, but there was still one that I have always really wanted to try: polymer clay. So, in the summer of 2013 I got into working with clay. I started out with my first charms, little lollipops, bows, and some coffee charms, and posted them on my art-themed Instagram account with only a couple hundred followers. Soon after, I had an inquiry from a follower that was interested in purchasing my work. I first started working with polymer clay 4 years ago. I was working as a flight attendant and I saw some amazing miniatures in an airport in France. When I returned home unemployed from the economical crisis in Greece, I decided to start making mini food for my dollhouse using polymer clay. 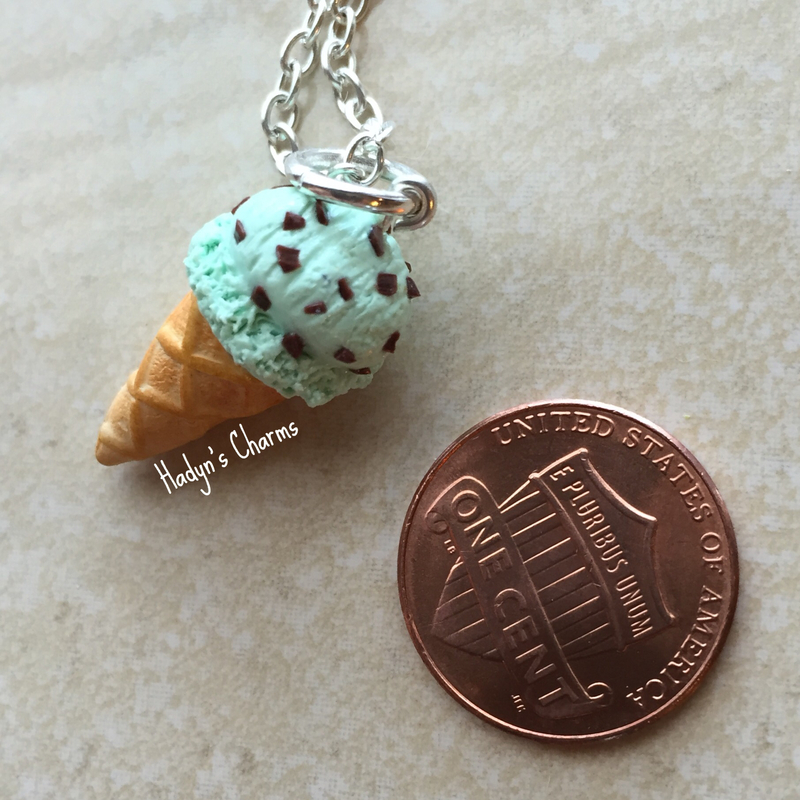 I fell instantly in love and decided to turn my minis into OOAK (one of a kind) jewelry that I would be able to keep with me, or on me every day. 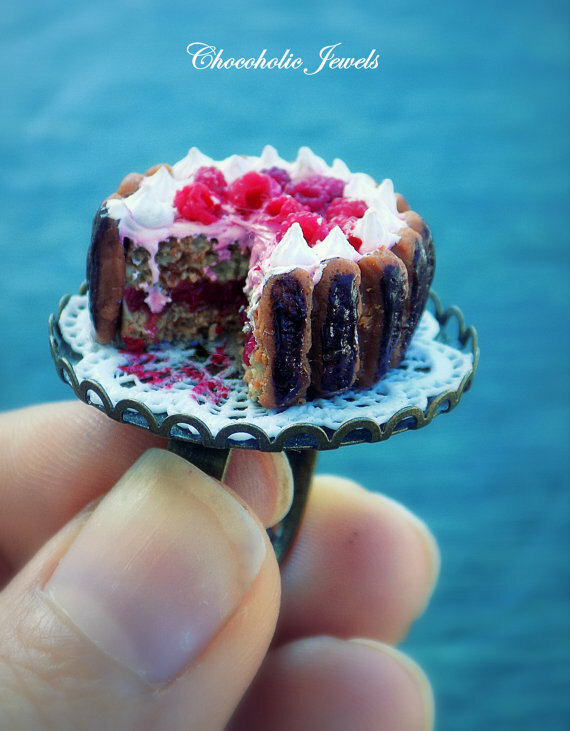 My love for desserts is the reason why I make most of my jewelry chocolate themed.